Who doesn’t love moving? Everyone, that’s who ! Moving is not fun, and timing your move can be difficult as well. More than half of all moves are made between May and September, presumably to avoid the ice, snow, and cold weather of winter, but Summer moving presents its own list of challenges. 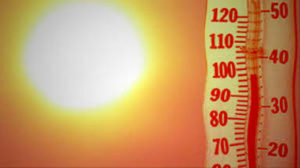 Here are some tips to help avoid possible complications brought on by moving in the heat of Summer. Make sure that you are moving only the items that you will actually need and use at your new location. Donate Items that are still in good shape, but not necessarily needed. Throw away Any items that are no longer needed, and not in good enough shape to donate. Store excess furniture and seasonal items, such as shovels, snow blowers and winter clothing in a self-storage unit. Whether you hire a moving company, or just some muscle to help you get items on and off of the truck, doing less of the lifting yourself, will help to avoid issues related to heat and exhaustion. Be sure to get references before hiring anyone. Be sure that all utilities are activated and functioning properly prior to your move in . Arriving at your new home only to find that the air conditioning is not working will make for a very long move in day! To avoid heat-related health issues such as heat stroke or dehydration, consider taking these precautions. Dress for Success – Wear lightweight light colored clothes. Drink up – Stay hydrated to avoid overheating. Be early or late – Do most of your work in morning or evening hours to avoid the hottest part of the day. Take a timeout – Take short breaks throughout the day to avoid overdoing it. Lotion up – Wear sunscreen to avoid sunburn. Plan ahead, and complete your summer move as easily as possible, and remember, it’s still better than moving in freezing weather with a foot of snow on the ground! For more summer self-storage tips as well as other self-storage information, check out our whole self-storage blog. This entry was posted in Summer Self Storage In Absecon and tagged Absecon Summer Self Storage, Absecon Summer Self-Storage facilities, Atlantic City Summer Self Storage, Atlantic City Summer Self-Storage facilities, Egg Harbor Township Summer Self Storage, Egg Harbor Township Summer Self-Storage facilities, Galloway Summer Self Storage, Galloway Summer Self-Storage facilities, Linwood Summer Self Storage, Linwood Summer Self-Storage facilities, Longport Summer Self Storage, Longport Summer Self-Storage facilities, Mays Landing Summer Self Storage, Mays Landing Summer Self-Storage facilities, Northfield Summer Self Storage, Northfield Summer Self-Storage facilities, Ocean City Summer Self Storage, Ocean City Summer Self-Storage facilities, Pleasantville Summer Self Storage, Pleasantville Summer Self-Storage facilities, Pomona Summer Self Storage, Pomona Summer Self-Storage facilities, Somers Point Summer Self Storage, Somers Point Summer Self-Storage facilities, Summer Self-Storage Near Absecon, Summer Self-Storage Near Atlantic City, Summer Self-Storage Near Egg Harbor Township, Summer Self-Storage Near Galloway, Summer Self-Storage Near Linwood, Summer Self-Storage Near Longport, Summer Self-Storage Near Mays Landing, Summer Self-Storage Near Northfield, Summer Self-Storage Near Ocean City, Summer Self-Storage Near Pleasantville, Summer Self-Storage Near Pomona, Summer Self-Storage Near Somers Point, Summer Self-Storage Near Ventnor, Summer Self-Storage Near Ventnor City, Ventnor City self storage, Ventnor Summer Self Storage, Ventnor Summer Self-Storage facilities on August 8, 2016 by admin. Well, June is almost here, and Summer is right around the corner. If you are in the market for a self storage space that you will be accessing throughout the summer, here are a few tips. You will probably have three unit types to choose from – inside, outside, or climate controlled. The types of items that you have to store, certainly will help to determine which of these summer self storage unit types you will choose, but don’t forget to consider your own comfort while accessing and sorting through your unit. If you are a sun worshiper, who enjoys basking in the warm weather , an outside storage unit probably will not be an issue. On a hot summer’s day, however, you may be subjected to hot air and high humidity when you are moving things around and accessing your unit. This can be uncomfortable, and possibly even dangerous if you have any serious medical conditions. If this is the case, maybe you should consider an …. While the units that we refer to here are not climate-controlled, they are accessed via an indoor hallway or breezeway, providing shade from Summer’s hot sun. This type of unit can also come in handy if you need to access your items on a stormy day. Another added bonus is price, as these storage units typically rent for less then drive-up or climate controlled units. The inside of these units however, can still be very warm, as they are exposed to the sun and heat from the exterior. If this is an issue for you, you may want to consider a…. Ah – the ultimate in self-storage comfort! Climate controlled units are set-up to simulate the temperature of an indoor living area. You typically enter through an air conditioned / heated hallway in a building where the the units are kept at a year-round, preset temperature and humidity range. This not only protects your stored items, but makes it very comfortable for you to access and sort through your unit. 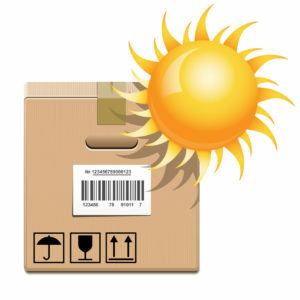 This type of unit completely removes the daily weather forecast from your summer self storage equation! So there you have it – no matter if you are a beach bum, who enjoys being in the sun and heat all day, or you are like many of us who head to the indoors and the A.C. the second the thermometer reads 80, there is a summer self storage unit choice that is perfect for you. Just drive on over to your local Self-Storage facility. The folks there will be happy to help! This entry was posted in Ocean City Summer Self Storage and tagged Absecon self storage space, Absecon Summer Self Storage, Atlantic City self storage space, Atlantic City Summer Self Storage, Egg Harbor Township self storage space, Egg Harbor Township Summer Self Storage, Galloway self storage space, Galloway Summer Self Storage, Linwood self storage space, Linwood Summer Self Storage, Longport self storage space, Longport Summer Self Storage, Mays Landing self storage space, Mays Landing Summer Self Storage, Northfield self storage space, Northfield Summer Self Storage, Ocean City self storage space, Ocean City Summer Self Storage, Pleasantville self storage space, Pleasantville Summer Self Storage, Pomona self storage space, Pomona Summer Self Storage, Somers Point self storage space, Somers Point Summer Self Storage, Ventnor City self storage, Ventnor City self storage space, Ventnor self storage space, Ventnor Summer Self Storage on May 27, 2016 by admin.